With the holiday madness slowly creeping in on me, sometimes I just feel like hibernating. The holidays can be stressful. I get so overwhelmed with all the things I need to finish so I can fully enjoy my time with my family. What’s a girl to do in stressful times? Go for a quick me time of course. So off I went to Skinlux Aesthetic Center. 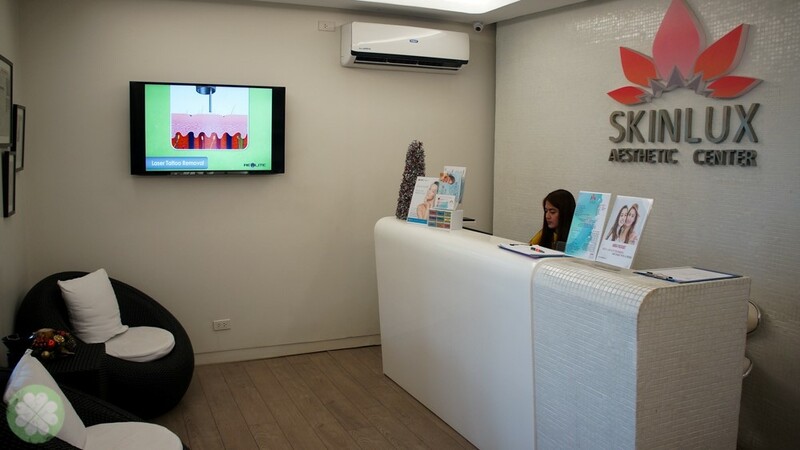 SkinLux Aesthetic Center provides a first class spa experience combined with beauty enhancing cosmetic procedures like laser treatments, peels and skin whitening programs. We use nothing but the latest and reliable machines combined with all- natural products for a unique experience and effective results. After filing out a form, I was asked to see their resident derma, Dra. Olivia De Jesus for a quick consult to further asses my skin’s condition and recommend a suitable treatment. According to Dra. Olivia, having a basic skin care regimen is the way to take care of your skin. Cleansing, toning and moisturising are a must and so is applying sun block. 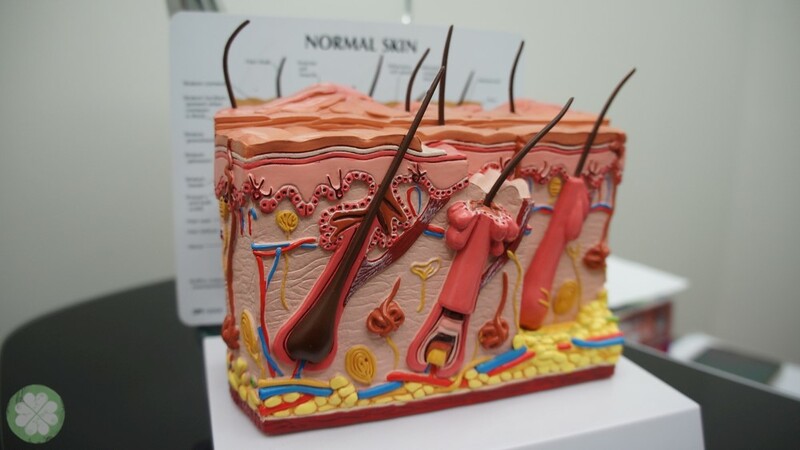 A once in a while treatment is also recommended depending on your skin type. In my case, I have a few breakouts and my combination skin leans towards dry during cold season, so moisturizing and anti-acne treatments should be done. She recommended I try Skinlux Seaweed Wrap and BUL’ Mask Facial. Before proceeding to my treatment room, I got a quick tour of the place. 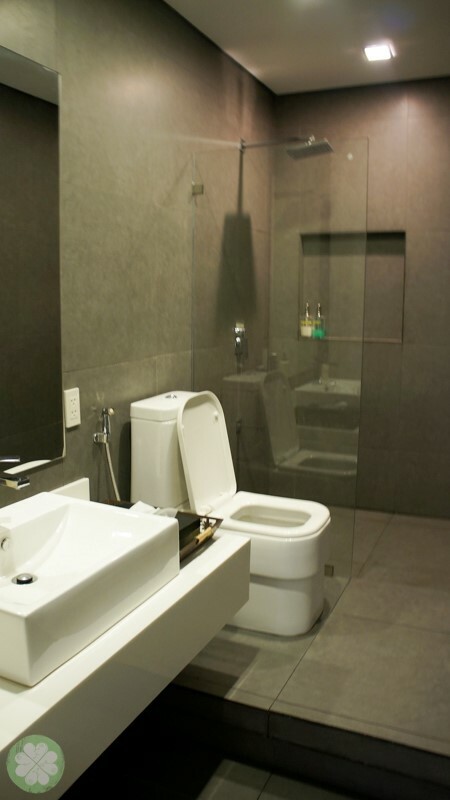 l like how fresh and soothing the interior of Skinlux is. 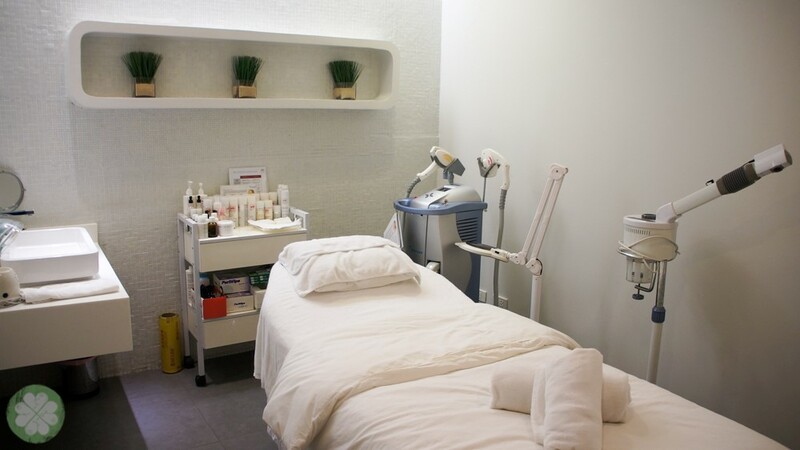 Skinlux offers facials, body scrubs, body massages, slimming treatments and laser treatments. They also offer combination treatments as well as other services such as ear candling, fillers, botox injections, glutathione injections, sclerotheraphy, and warts removal. 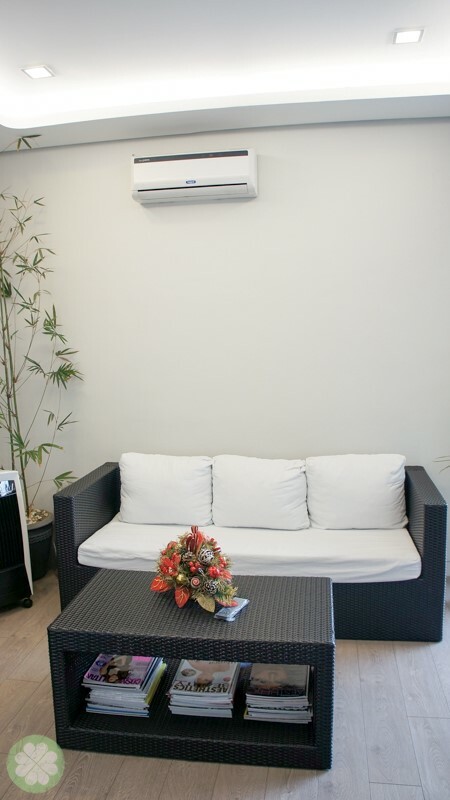 They also have a couples room perfect to have treatments with you partner, amiga, mom or girl friend. This was my room. Heehee. The right bed was used for my Skinlux Seaweed Body Wrap and the left bed was used for my BUL’ Mask Facial. It cleanses and detoxifies the body by using natural products specifically formulated to improve the appearance of hydric and fibrous cellulites. The skin absorbs the minerals that are essential for restoring its tone and vitality. It reduces the appearance of cellulite while improving the tone and texture of the skin. As a result, the body shape is redefined and the skin is left feeling softer, smoother and revitalized. Skinlux’s top of the line facial starts with superior cleansing, toning and exfoliation. A special Cellular Matrix cream is applied, imparting deep nourishment. The result is the recovery of the skin’s youthful elasticity and firmness. Unique to Nelly Devuyst, the super-oxygenating Bul’ Mask that follows delivers high doses of oxygen directly to the skin. This increases cell renewal and metabolism, blood and lymph circulation and eliminates toxins for a radiant complexion. Skinlux exclusively uses Nelly DeVuyst® products. A brand backed by 40 years of skin care experience, Nelly DeVuyst® combined the best of science and nature, providing real people with personalized solutions to their skin care problems. Howeever, times are changing and Nelly DeVuyst® has been the first to innovate with new technology while managing to respect the environment. After 7 years of research, Nelly DeVuyst® has come up with a new approach to skin care. Nelly DeVuyst® uses only the finest raw materials gathered from elite sources through Europe and other parts of the world. It uses an extensive array of plant extracts and essential oils that are obtained from certified botanical species organically grown and carefully extracted to maintain the wealth and benefits nature provides. I managed to take a photo of myself during my facial. 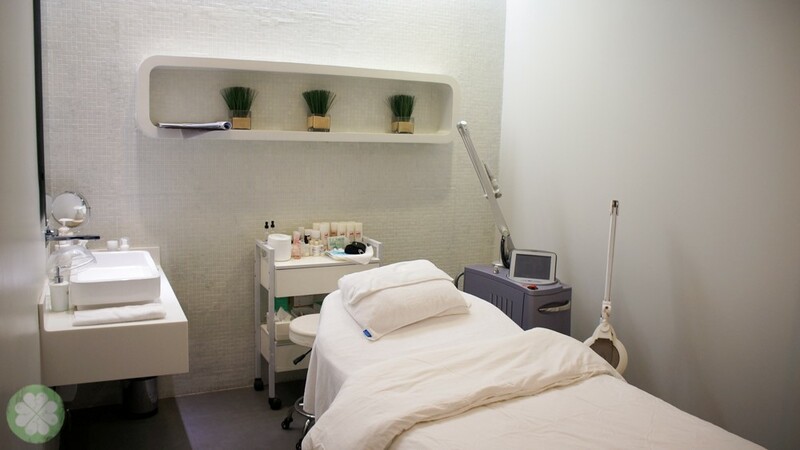 The bed at the back of the photo was where I had my Skinlux Seaweed where I lay down with a warm blanket underneath while I indulged in a soothing massage before the seaweed was applied. I fell asleep during the 20-minute wrap that my attending therapist had to wake me up! Heehee. The smell of seaweed was intoxicating. See that insulated wrap? I was zipped inside it, cocooned like a sushi waiting to be devoured. I had to stop myself from licking the seaweed but was close enough to actually do it. Heehee. Immediately after rinsing (I didn’t use any body wash nor soap) I noticed how supple, soft and smooth my skin was, like that of a baby. I wish I could achieve this every day for the rest of my life as I’ve never felt my skin like this. My BUL’ Mask Facial was something that surprised me as it was my first facial that didn’t had any extraction nor steaming. 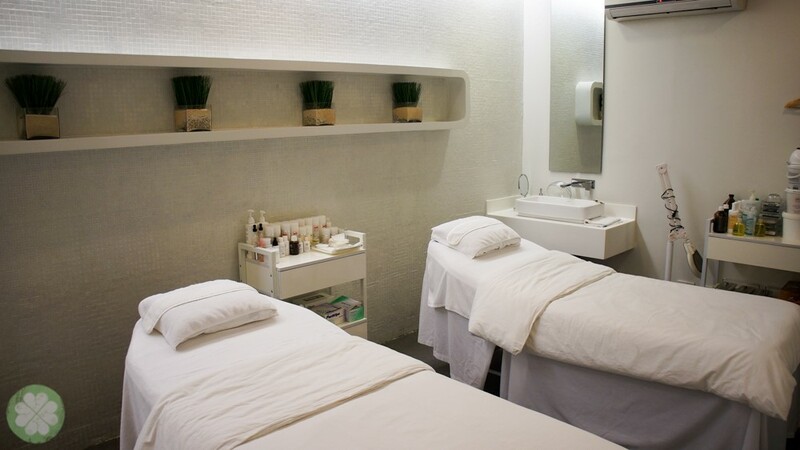 It started with a soothing facial massage followed by a series of delicate application of Nelly DeVuyst® products. The BUL’ mask is not the typical cream type-it was foamy and light (as seen in the photo). It was totally relaxing and I felt like it effectively “cleansed” my face as much as a traditional facial, sans the pain from extraction. Update: a few days after my visit at Skinlux, my pimples have dried out (despite not pricking them). I think I’m ready for the holiday madness. Thank you so much Skinlux for giving me an afternoon of pampering. It was definitely what I needed.